Special Containment Procedures: Access to Mt. Olympus has been forbidden to civilians by the Greek government under the cover story of protecting an important cultural site. Foundation personnel in the guise of officers of the Greek Ministry of the Interior are to prevent unauthorized entrance to the area. To contain SCP-3480-2 instances, Area-13 has been built within Mt. Olympus, approximately 400 meters below SCP-3480.1 Area-13 is equipped with 18 Massive Scranton Reality Anchors (MSRAs) arranged in a circular pattern around the facility. All Anchors are to remain active at all times, with any damaged or malfunctioning unit repaired or replaced as soon as possible. In addition, one Xyank/Anastasakos Constant Temporal Sink (XACTS) is to be maintained on site for use with Protocol Kronos, with a second XACTS unit placed in on site storage to serve as a back up. 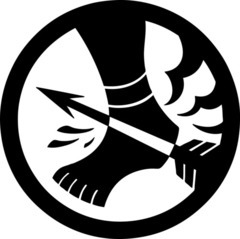 MTF Omega-12 ("Achilles Heels"), a MTF specialized in the capture and or termination of reality altering entities is to be permanently garrisoned in Area-13 to contain SCP-3480-2 instances during Protocol Kronos. Upon commencement of White event, Area-13 XACTS is to be used to temporally isolate Mt. Olympus from surrounding reality in order to reduce likelihood of CK class Reality Restructuring Scenario. One third of MTF Ω-12 shall leave Area-13 and secure a circular perimeter 100 meters from SCP-3480-1. MTF Ω-12 shall maintain the perimeter and rotate in four hours shifts for the duration of the White event. When the White event ends, MTF Ω-12 are to render the resultant SCP-3480-2 instance unconscious through the use of long range tranquilizers while off duty members are to assemble and proceed to SCP-3480 immediately to provide support if needed. Following apprehension or termination, MTF Ω-12 is to bring the SCP-3480-2 instance into Area-13 to be contained. After containment, XACTS is to be deactivated. Description: SCP-3480 is the peak of Mt. 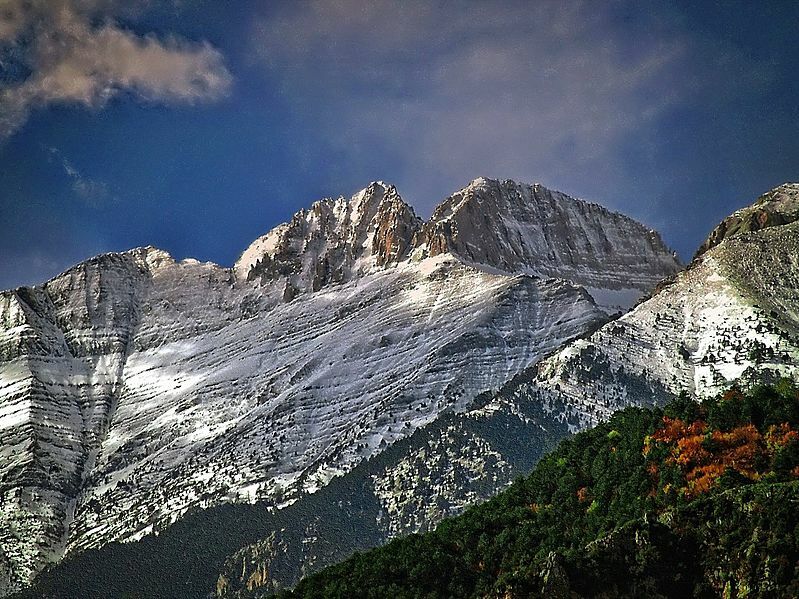 Olympus, Greece. The Hume value in this area is the lowest recorded by the Foundation, measuring approximately 1.2 x 10-██ Humes on the Caldmann-Rzewski Hume scale.3 A Hume value approaching absolute zero is theoretically impossible to occur naturally, and even Foundation tests utilizing SRAs in a pocket dimension have been unable to produce Hume levels lower than .15hm. While theoretically that value could be lowered further, it would require hundreds of linked SRAs-a number only one Foundation site possesses. Despite the fact that this value should indicate a visibly distorted local reality that is brittle enough to be altered by non-anomalous humans, SCP-3480 normally shows no visible signs of its anomalous nature. The anomaly's age is estimated at ████ years, and has been contained or utilized by various Groups of Interest prior to coming under Foundation control. SRAs are unable to correct SCP-3480's Hume value to the baseline of 1hm, though they are able to maintain baseline Hume value within Area-13 (albeit at a reduced operating efficiency). It is thus theorized that SCP-3480 acts as a hole through which local reality is drawn. This effect does not appear to negatively impact organisms or the environment in SCP-3480's proximity. SCP-3480-1 is the designation given to a phenomenon that manifests at seemingly random intervals in SCP-3480.4 Between 5 and 22 minutes prior to manifestation, Kant counters in SCP-3480 read Hume values returning to baseline. When manifestation occurs, one unconscious human will spontaneously appear approximately 3 meters above ground and will not move. The individual will then be surrounded by an ambient white light. Following this, Hume values in SCP-3480 will once again approach absolute zero. These occurrences are collectively referred to as a White event. Following the individual's appearance and the return to low Hume values, SCP-3480-1 will remain for a variable length of time.5 Interacting with an SCP-3480-1 instance is impossible due to its properties. Any and all matter that approaches within .5 meters of SCP-3480-1 will be subject to acute reality failure, resulting in instantaneous molecularization. Eventually, the light will recede and the individual within will fall to the ground and regain consciousness. These individuals are then considered to be instances of SCP-3480-2. All Instances of SCP-3480-2 are reality altering entities of various strengths, with the power of the instance increasing the longer the length of its associated White event. SCP-3480-2 commonly show signs of sociopathy, narcissism, and violent tendencies. SCP-███, SCP-███, and SCP-████ are believed to be SCP-3480-2 instances that manifested prior to SCP-3480's containment. Approximately 68% of SCP-3480-2 instances display physical or mental impairments. Common impairments include an additional heart chamber, amnesia, perfect polydactyly of the hands and feet, missing limb(s), increased endocranial volume and height, the presence of an abdominal organ of unknown purpose which emits and responds to radio frequencies in the 2.4-3.6 GHz range, and intellectual disability. SCP-3480-2-1 Class One 94 minutes Caucasian male missing left arm. First encounter with SCP-3480-2 instance following containment. Target was disoriented and containment was swiftly achieved by MTF Omega-11 "Paris's Arrows". No casualties reported. Initial containment procedures set following incident. SCP-3480-2-4 Class Three 74 hours, 31 minutes Black female displaying no physical abnormalities. Amnesiac with IQ tested at 155. Target reacted with fear upon seeing Foundation personnel and unconsciously utilized reality altering abilities. 6 members of MTF Omega-11 deceased due to exsanguination prior to successful capture. Target displayed significant resistance to tranquilizers, and did not lose consciousness until 49 seconds post injection. Note: First casualties suffered in containment of SCP-3480. SCP-3480-2-8 Class Four 192 hours, 8 minutes Asian male with no known physical or mental impairments. Target reacted with violent rage upon sighting MTF Omega-11 and immediately used its abilities against them. Target was not affected by tranquilizers, and live ammunition produced no visible damage. 10 members of MTF Omega-11 deceased due to blunt force trauma. 4 members of MTF-Omega-11 deceased due to disintegration. 8 members of MTF Omega-11 deceased due to severe burns or incineration. 3 members of MTF Omega-11 deceased due to acute reality failure. Following the deaths of all personnel, subject proceeded to the Greek city of ██████████. [DATA EXPUNGED] Note: prior to termination subject's actions resulted in a CK-class scenario that removed all knowledge of ██████████ and the nearby island of ████████ from collective human memory. SCP-3480-2-9 Class Two 20 hours, 17 minutes Caucasian female with additional heart chamber and unusual height of 2.2 meters. Target escaped initial containment attempts due to the newly re-constituted MTF Omega-11's inexperience in containing this anomaly. ██ Civilians deceased prior to containment. SCP-3480-2-19 Class Five 480 hours, 3 minutes [DATA EXPUNGED] [DATA EXPUNGED]following which Procedure Lazarus-01 was successfully enacted. Note: severe nature of containment breach and resultant CK class scenario resulted in major overhaul of containment procedures, the results of which are classified Level 5. MTF Omega-11 was decommissioned following this incident, and containment responsibility was transferred to the newly created MTF Omega-12. Foreword: Instance is an Asian male with perfect polydactyl of hands and feet but no mental or memory impairments. Subject displays Class One reality altering abilities and was captured without incident. Dr. Dietz: SCP-3480-2-5, please state your name and affiliation prior to your appearance in SCP-3480. SCP-3480-2-5: Dr. Arthur Shu, Level Three researcher with the Foundation. Dr. Dietz: What do you remember prior to your appearance? SCP-3480-2-5: It was Hell. I can't describe it any other way. Sometimes up was down, sometimes I was part of a wall, sometimes I was twisted into shapes that defied geometry, and through it all I just kept disappearing and reappearing over and over. Nothing made any sense. But the worst part was the people. SCP-3480-2-5: There were so many of them. More than I've ever seen. Most were dead. Many could barely be called human. They were all just… we were all just screaming. Even some of the dead ones. And then we'd be somewhere else and it would begin again. Dr. Dietz: Did you recognize your location, or any of the people there with you? Dr. Dietz: And? Just where were you? SCP-3480-2-5: Sorry. I used to take my… my daughter there on vacation. Yellowstone. It was Yellowstone. Closing Statement: Subject's account corroborated by other instances of SCP-3480-2. Addendum 3480-1: Following the enactment of current containment procedures, no K class scenarios have occurred as a result of SCP-3480 and casualties have been limited to only ██ individuals. Special Containment Procedures: Due to the difficulty of capturing reality altering entities without the ability to suppress their abilities and the high likelihood of a K class scenario resulting from a containment breach, the O5 council has authorized the creation of MTF Omega-12 ("Achilles Heels"). This MTF is to be composed of healthy SCP-3480-2 instances that are clones of Foundation personnel6 from alternate Universe ALEPH and display reality altering abilities that rank class three or lower. Following capture, potential recruits are to display at least one year of good behavior and pass a psychological profiling exam designed to confirm loyalty to Foundation principles. Following this, potential recruits are to be offered membership in MTF Omega-12. MTF Omega-12 is to be permanently garrisoned in Area-13 to contain SCP-3480-2 instances during Protocol Kronos. In addition, Omega-12 is to be utilized for the capture or termination of powerful uncontained reality bending entities not associated with SCP-3480 that are deemed too dangerous to be contained through standard engagement procedures. Members of MTF Omega-12 are forbidden from leaving Area-13 without authorization from the Area's director. Attempting to do so will result in termination. All members of MTF Omega-12 are to be fitted with remote kill switches surgically implanted within their skulls. Admission into Omega-12 is not to be coerced under any circumstances to ensure willing cooperation. Unauthorized use of reality altering abilities outside of Protocol Kronos or other authorized operations is grounds for termination. When the White event ends, present members of MTF Ω-12 are to render the resultant SCP-3480-2 instance unconscious through the use of long range tranquilizers while off duty members are to assemble and proceed to SCP-3480 immediately via spatial displacement to provide support if needed. If tranquilizers fail to incapacitate the target, Ω-12 members with Class One or Two ranking are authorized to use reality altering abilities to reduce Hume level of target, rendering it vulnerable to conventional weapons. Attempts by SCP-3480-2 instance to alter surrounding reality are to be suppressed by members of MTF Ω-12. If resistance continues or attempts to escape cause visible destabilization of reality, MTF Ω-12 members with Class Three ranking are authorized to use their abilities to prevent and suppress those of the target. At this time use of live ammunition to terminate target is permitted and left to MTF discretion. Following apprehension or termination, MTF Ω-12 is to bring the SCP-3480-2 instance into Area 13 to be contained. Protocol Addendum: Should a White event ever last longer than 500 hours, all members of MTF Ω-12 are to guard SCP-3480-1 instance until completion. When SCP-3480-2 instance manifests, all members of Ω-12 are to use abilities to suppress those of the target. To prevent a possible HK class Deific Subjugation scenario, all Ω-12 members are to use live ammunition to ensure immediate termination of target. Should Class Six target escape termination, Code NIGHTMARE JESTER GREEN is to be broadcast to all Foundation sites. Director Note: The use of anomalies to contain anomalies is always a difficult and dangerous endeavor, especially when the anomalies are humans that come from the very same anomaly they contain. The specter of Able hangs over us all, but for every Omega-7 there is an Alpha-9. The bottom line is this: without our anchors we can't stop the stronger greens with normal methods. If Omega-12 is decommissioned then the next time a vengeful D-class becomes something out of Homer we probably won't be as lucky as last time. 1. Originally designed solely to contain SCP-3480-2 instances, Area-13 has since been spatially expanded via Pseudo-Riemannian Manifold in order to serve as the Foundation's primary internment facility for ontokinetic humanoid anomalies. 3. See Caldmann-Rzewski, 1981 for an in depth explanation of Hume values in relation to reality and anomalous phenomenon. 5. 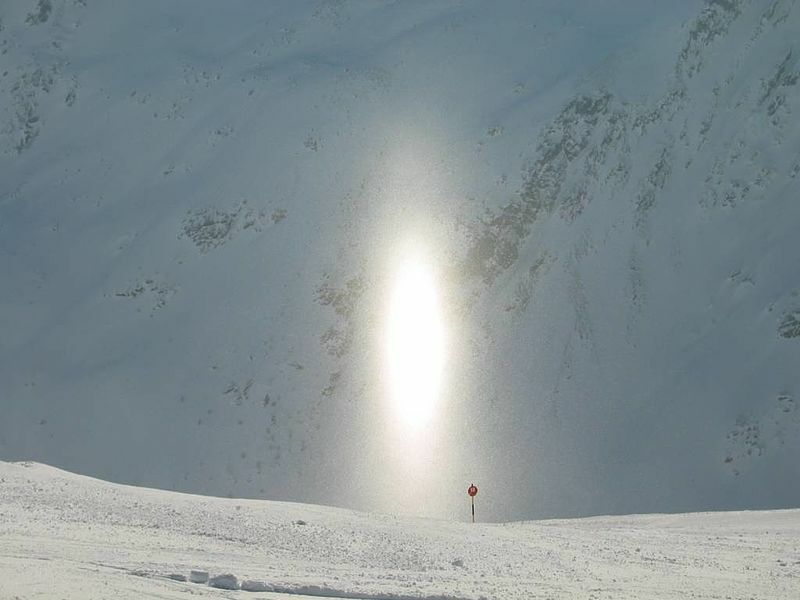 The longest white event recorded lasted approximately 480 hours, while the shortest lasted for 57 minutes. 6. Clones of Foundation personnel comprise approximately 28% of SCP-3480-2 instances.